Heating and air conditioning services from the expert technicians at Deal’s Heating & Cooling. You deserve to have a comfortable and safe home. If your heating and air system is acting up or is broken down and you are in need of service, repair, or maintenance it’s important to have a reliable heating & air company you can rely on to solve your problems quickly and at a competitive price. This is where the expert HVAC technicians at Deal’s Heating & Cooling come in. 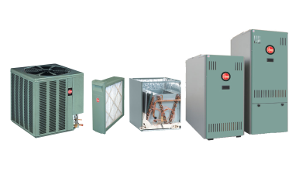 Deals Heating and Cooling is an Authorized Dealer for RUUD state of the art products. Throughout the year we offer discounts and specials on RUUD products, whether it is a replacement installation or an upgrade to an existing system you will get the best Deal possible. 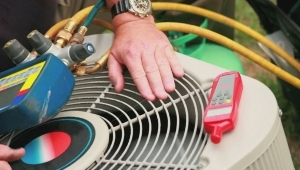 We look to provide quality service from quality HVAC technicians at a reasonable price. Explore our products page or give us call and we can recommend the right product for your home. Deal’s Heating & Cooling Company is a family owned & operated business founded in York County in 1993. Deal’s takes pride in providing fair & honest customer service. Jay Deal was recognized by the Virginia Peninsula Chamber of Commerce as the Small Business Person of the Year Award in 2001. Deal’s small business takes great pride in providing personal trust to it’s customers through courteous & professional service. 1-Year Warranty for Repair work, that’s a full year to ensure complete satisfaction. Competitors only guarantee their work for 30 days! Plus, 10-Year Manufacturer Warranty available on new systems installed to our exact standards. That’s a decade of Peace-of-Mind!